You know what time it is. 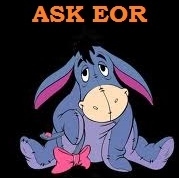 Time for the fourth installment of “Ask EOR”! The previous 3 installments can be found here here and here. I just want to remind you all that you can e-mail your questions to me at askeor.rf@gmail.com and I will do my very best to shed light on any and all Mormon (and Mormon adjacent) queries you might have. After years of struggling to find connection and healthy relationships I have finally found a guy who really complements my life. Our relationship has recently reached the point where we have begun discussing marriage, and I am confident that any life that we built together would be deeply meaningful and fulfilling. The only hitch is that my patriarchal blessing expressly advises that I marry a member. 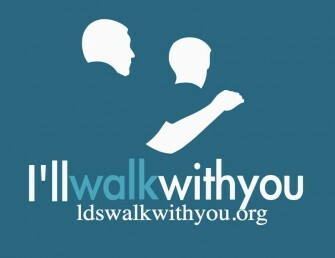 Not just a member, but a returned missionary. My partner is neither. To be clear, I’m not asking whether or not I should marry my partner. I’ve weighed the option and I truly believe that he is right for me. My question is: what do I do with my patriarchal blessing now? It’s a hinge blessing. An ‘if you marry an rm then all these blessings apply’. There’s no ‘here’s what to do if you don’t’. Do I set the blessing aside as counsel that applied only temporarily, or do I struggle to find meaning when I have openly flouted it’s advice? My opinion of Patriarchal Blessings is that they are like personal scripture. Your life has gone down a different path than was initially anticipated when you received your blessing. No doubt you yourself even thought at that time that you would marry a Returned Missionary. Agency is a beautiful and precious thing and you are exercising your agency here. A Patriarchal Blessing is not a magical fortune-telling session—it is a snapshot in time. I take out my Patriarchal Blessing and read it once in a while (I should really do it more often) but when I do I not only see all the places where I have supposedly strayed from the advice offered me but I see opportunities to practice applying it to my current situation the same way we do with ancient scripture. In Adam S. Miller’s book, Letters To A Young Mormon, (and again on the Maxwell Institute Podcast) he makes an excellent point about us not just running our eyes over scripture but rather embarking on the hard work of re-translating it for ourselves. That is your task. You must re-translate your Patriarchal Blessing in light of this new information. Good luck to you, and congratulations. If Heavenly Mother is the essence of Heavenly Father, and Eve came from Adam’s rib, then what does that tell us about the nature of Heavenly Mother and how her daughters will be exalted? In order to fully address your question I must lay something completely bare; I do not believe that Heavenly Mother is the essence of Heavenly Father. In fact, I have no recollection of ever hearing anyone say that, but I fully grant that I haven’t looked. Heavenly Mother is a Goddess in Her own right, and I believe that is our potential as well. This is of course why I roundly reject any notion that the reason we don’t openly discuss Heavenly Mother is because She is such a fragile wilting flower that She would melt at the mere mention of Her name (for good or ill). For my life that kind of behavior doesn’t sound like a Goddess to me. I don’t know what lies in store for womankind because unfortunately we have been robbed of those teachings, but I know we have a noble birthright every bit as robust as that of a man’s. That belief is partially what keeps me going when all I want to do is throw in the towel on it all. Hopefully it helps you. What is the true/optimal male facial grooming standard? If exceptions are allowed what is it that allows one to make an exception? What are the two next best options if the “standard” cannot be met? Well, the “standard” in The Church is of course that set by the Brethren which is clean-shaven. This is a horrible standard in my opinion though. Exceptions should always be made because beards are the greatest thing ever. God loves a bearded man. There is a hierarchy of beardedness though. It is thus: 1. Full Beard, 2. Full beard no mustache, 3. Goatee, 4. Porkchop Sideburns, 5. There is no number 5 because only 1-4 are acceptable. Good stuff! A little bit of humor, a good amount of sincerity. Well done. Thank you. I’m glad you enjoyed it. Incidentally, did you happen to get your name from a hairdryer? Yes! My beard is righteous! I liked your Patriarchal Blessing answer. My life may or may not be getting off course from some of the things in the blessing. It’s hard to say. How I mostly think of it, now, is I aspire to do and be the good things in my blessing and let God worry about the parts out of my control. Mine says stuff about my spouse and family, too, but they have their own agency. When I was single and in my late 20s I looked outside of the LDS church for a potential wife at the same time I was looking inside. For me, I never met one outside whose faith was compatible with mine, but had I met one I would have considered a mixed faith marriage. I’m sure at the time I would have agonized over it, and it might have been unhealthy because I had an unhealthily exclusive faith in some regards, but I was looking. I wanted to be a husband and father, and good matches don’t come along very often. Jonathan, of _course_ your beard is righteous! It is one of the beardliest beards of all-time. Patriarchal blessings are an interesting thing. It was quite fortuitous that I got this question because I have been thinking about them now for a while. Trying to determine how exactly they fit into our lives as we age. I was 16 when I got my blessing, and I don’t know if it is possible to be a more different person than I am now. I wondered where that left me because I do believe in the power of blessings from the Patriarch. It took a lot of soul searching, but I arrived at the conclusion posted above. What happened to Corbin’s post from yesterday? That has nothinbg to do with this post. My aim on my posts is to keep discussions on-topic. If you have questions about another blogger’s post I suggest you contact them, or the owners of this site. Great responses, EOR. I particularly appreciate you describing our state regarding teachings about women as having been “robbed.” Well labeled! I married a non-member in my early 30s. Doing so seemingly went against my patriarchal blessing, but I felt like our marriage was nonetheless divinely inspired. I would absolutely do it again. 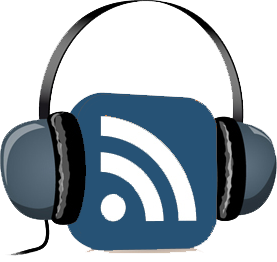 Something that subsequently helped me make sense of my patriarchal blessing was a podcast (Mormon Matters or Mormon Stories) with Richard Bushman who has served as a patriarch. He talked about the how patriarchs receive impressions that they then have to translate into language. Therefore he says that if you are getting hung up on specific language, you should think about what the impressions could be behind the language. He gave some interesting examples, and I highly recommend searching out the podcast for anyone struggling with their blessing. That was a great podcast. I’m pretty sure it was Mormon Matters. I didn’t remember that suggestion, but I’m going to try it.